When I was spending my high school years in New Jersey, all I could dream about was getting out and exploring the world. Now that I'm middle aged with two young kids growing up in Europe, New Jersey doesn't look so bad... at least when it comes to thrill rides. When I was spending my high school years in New Jersey, all I could dream about was getting out and exploring the world. Now that I'm middle aged with two young kids growing up in Europe, New Jersey doesn't look so bad... at least when it comes to thrill rides. Amusement parks are the best in the U.S. with the wide array of rides, safety standards, cleanliness and kid-friendly fun. 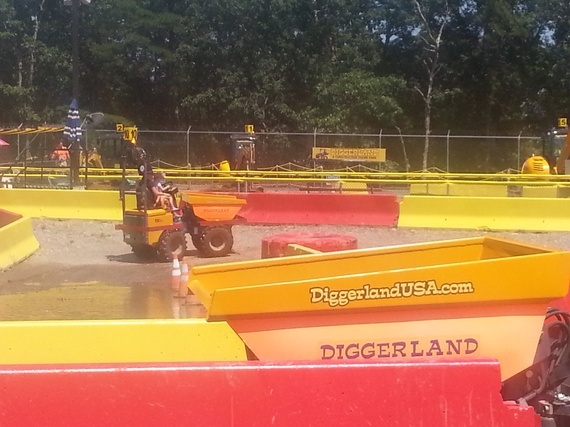 We have been to fairs in Europe, which make the dodgiest carnival that coasts into an American rural open field and leaves by sun up, look like paradise. Six Flags Great Adventure -- When I was waiting in line for a roller coaster in Grona Lund, the city amusement park in Stockholm, Sweden, footage of other impressive roller coasters played in a loop while would-be riders waited 45 minutes for a mildly thrilling rickety roller coaster. One of the roller coasters featured in Stockholm was the Kingda Ka in Jackson, New Jersey. If the Swedes had known about the dozen other amazing roller coasters at Six Flags Great Adventure, they might all have sulked out of the amusement park in disappointment. 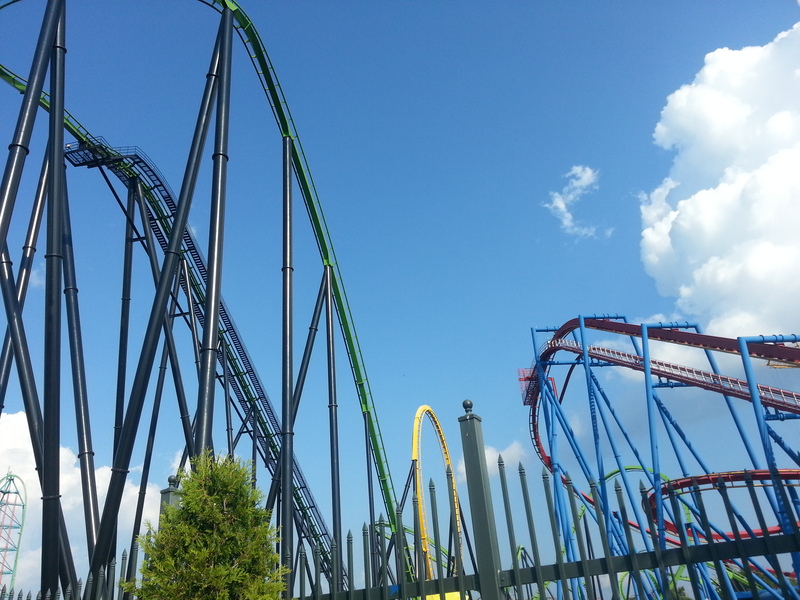 BATMAN: The Ride BACKWARDS, El Diablo and SUPERMAN: Ultimate Flight are just few other amazing roller coasters at Six Flags. There are plenty of choices for those who don't quite meet the height requirements for the crazy rides, such as a log flume ride, Congo Rapids and milder roller coasters. And the assortment of capes for my supergirls were enormous. 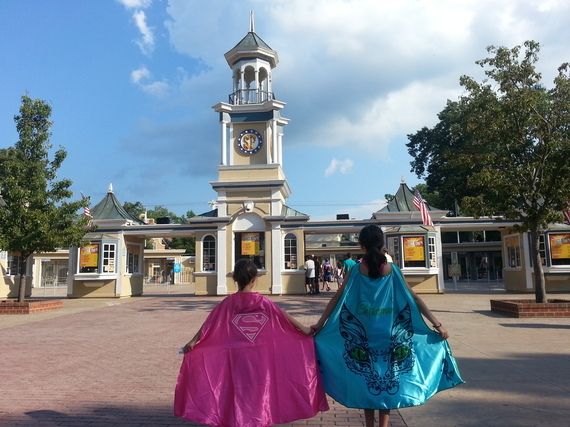 We picked up a turquoise Catwoman cape and a light-up pink Supergirl cape. For more information, go to Six Flags Great Adventure. 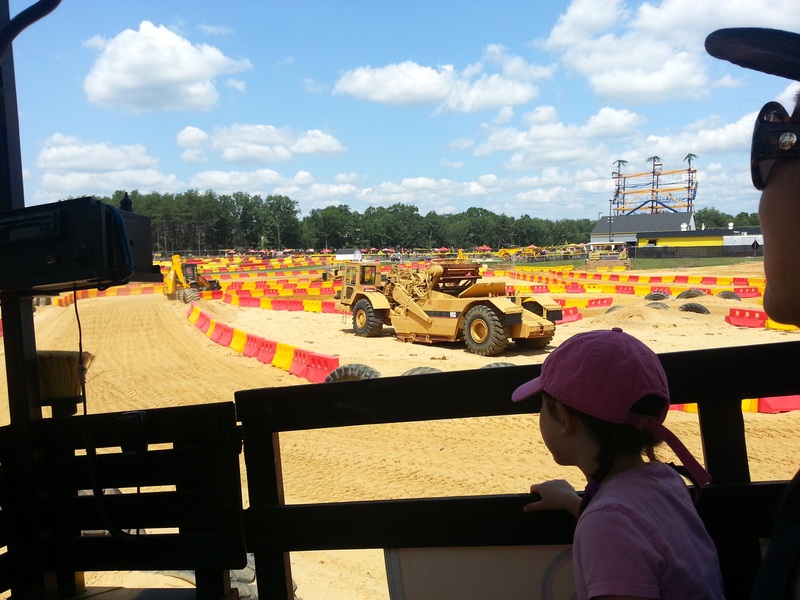 Diggerland USA -- Almost every kid dreams of getting behind the controls of a digger, tractor or bulldozer, especially when they pass by the bright yellow vehicles along the side of the road. 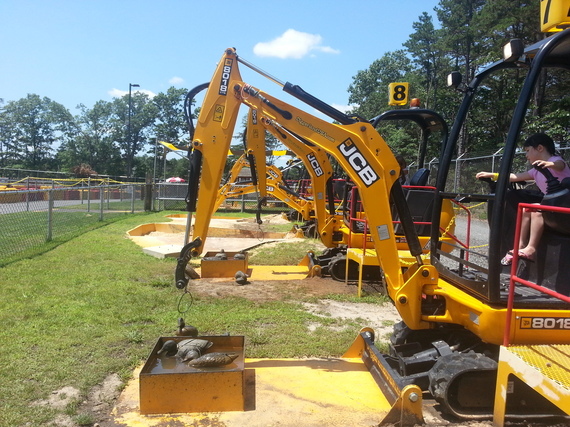 They're kind of cute and you have to admit, they do look like lifesize toys. Sahara Sam's Oasis -- With one of the best wave pools I've ever been in, Sahara Sam's is terrific fake-beach fun without coming home with fistfuls of sand in your bathing suit. The wave pool is located outdoors, along with a splash pool and a bigger pool. There's even a cabana offering drinks and snacks so you get the authentic vacation feel but knowing you get to sleep in your own bed in the evening. There's also a large indoor space with tube floats, kiddie water slides and a giant tube water slide that descends four floors... in the dark! Scary thrills! The last time I was on a ride like was in a water park in Turkey so I was surprised to find a similar adventure in New Jersey. 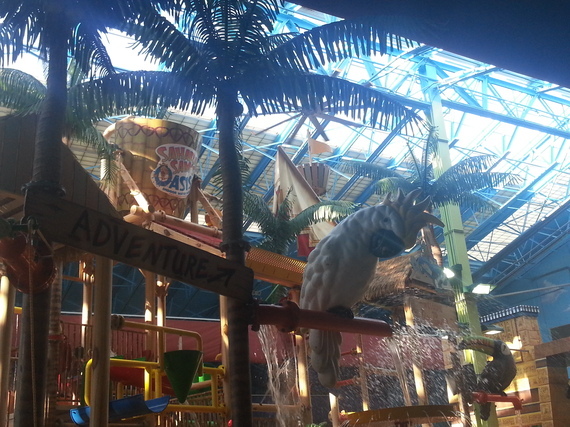 For more information, go to Sahara Sam's Oasis.